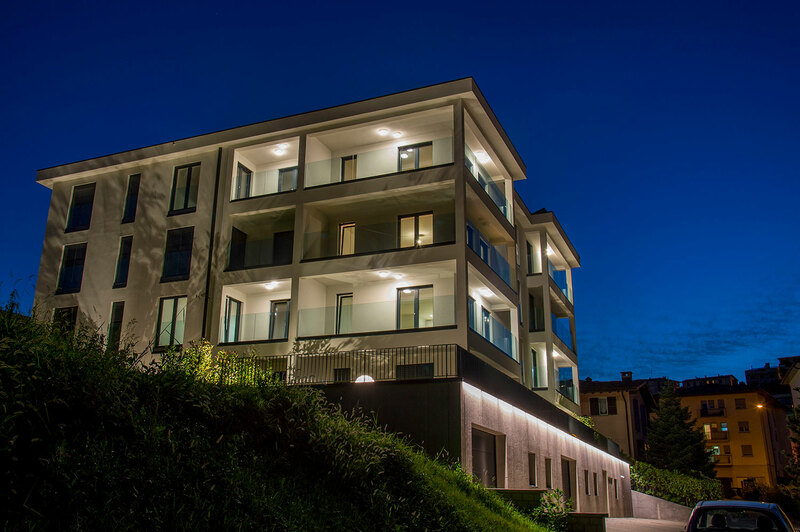 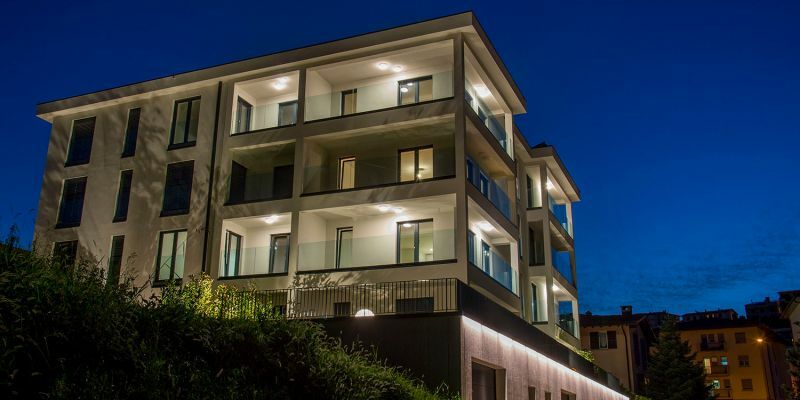 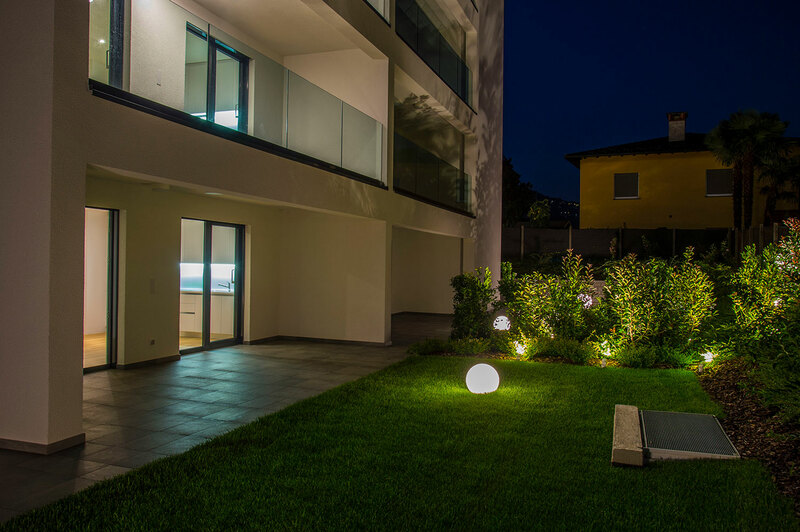 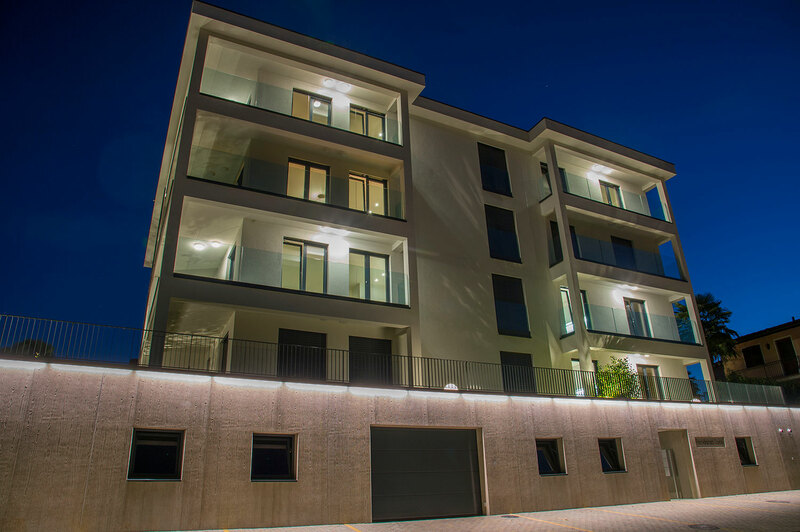 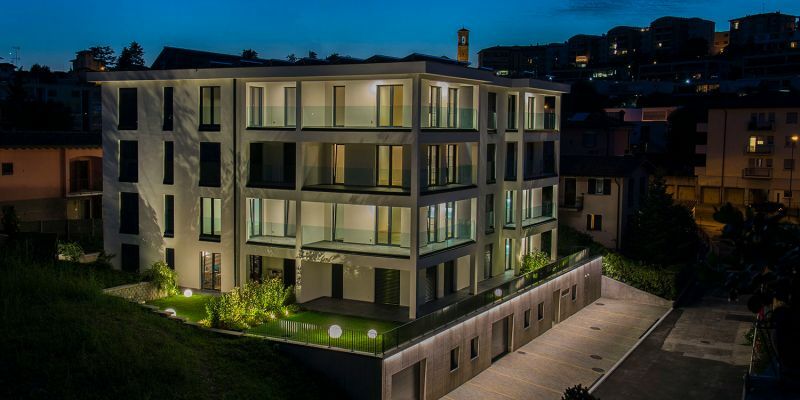 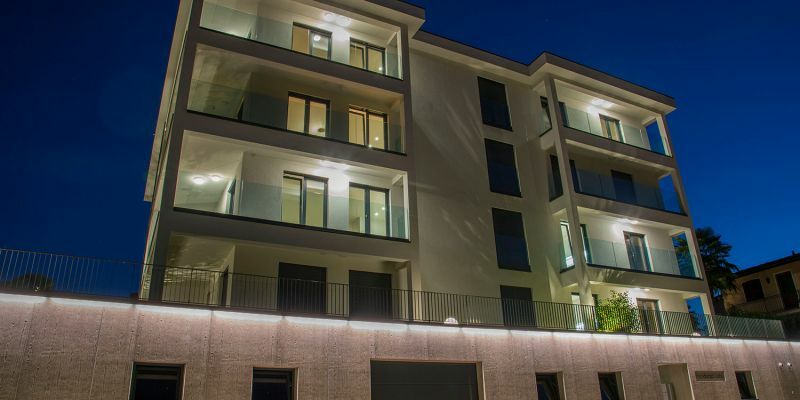 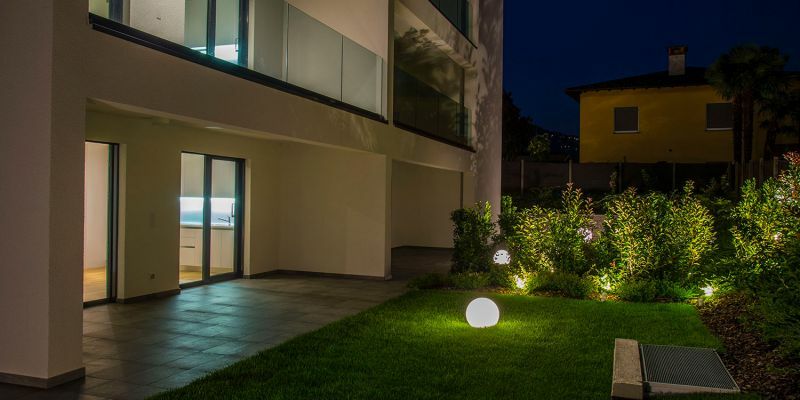 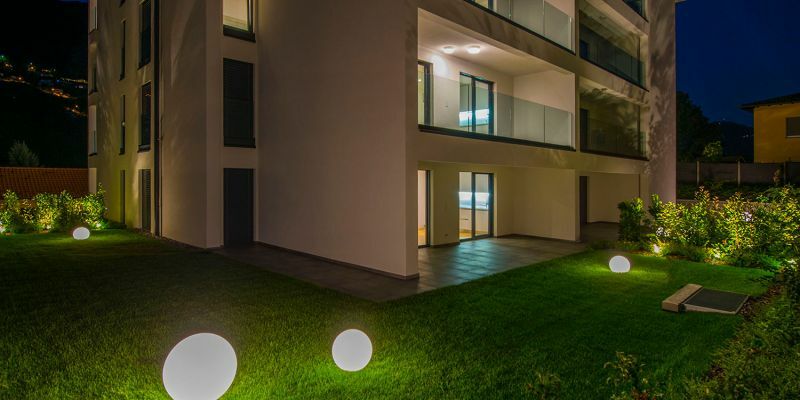 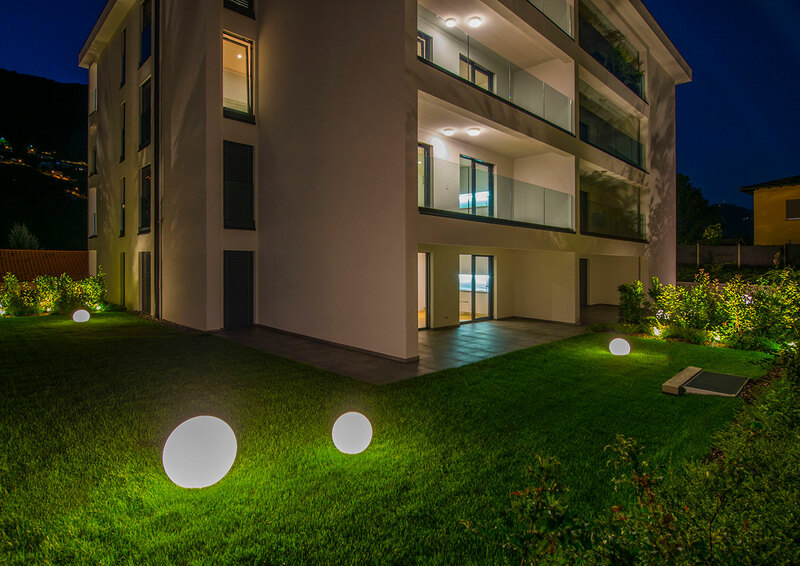 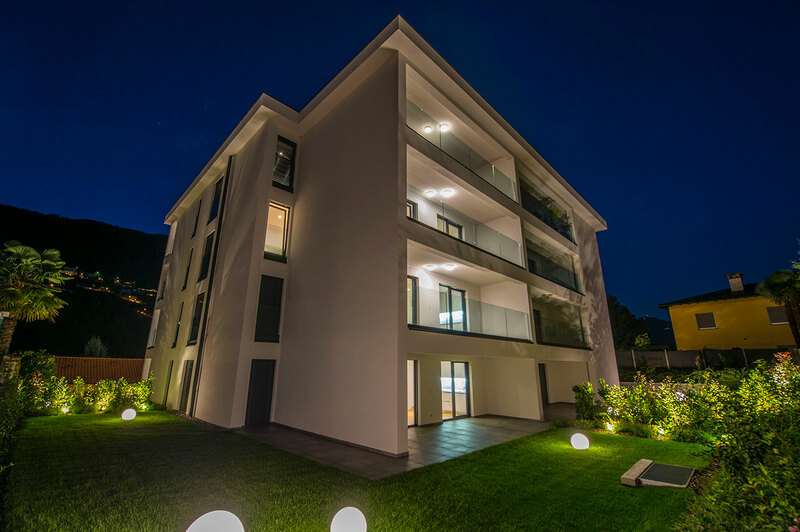 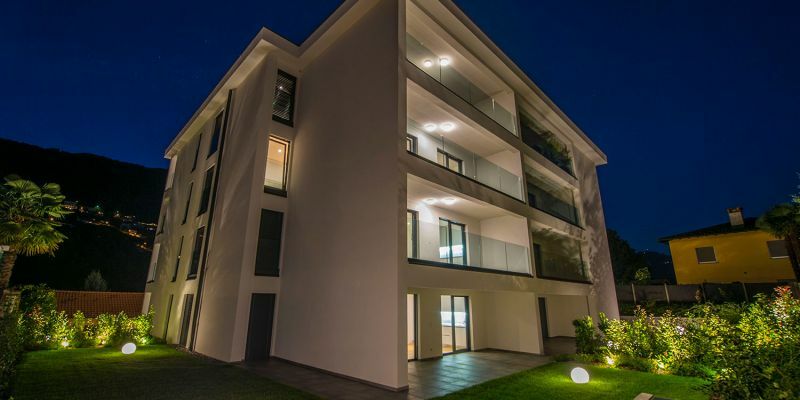 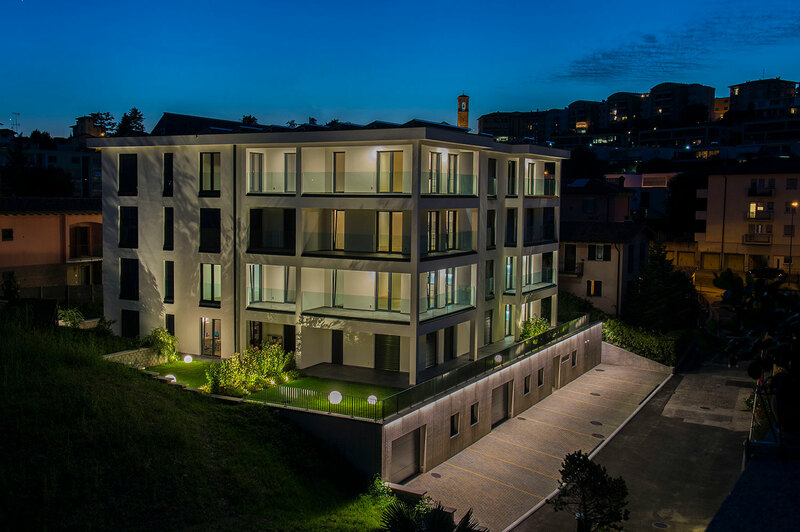 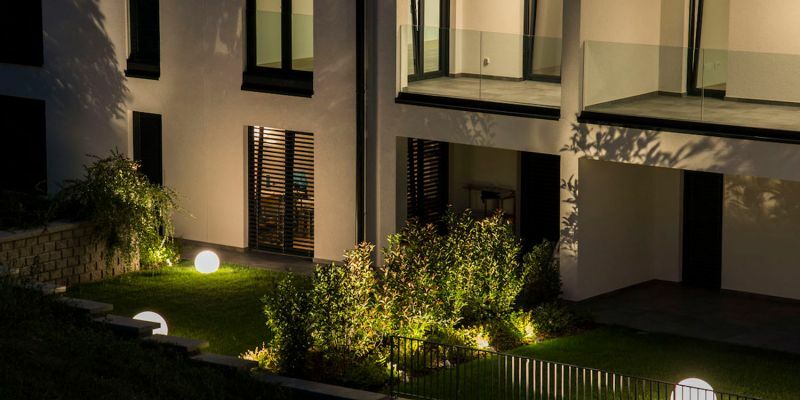 The lighting project of “Residenza Luce” located in Vacallo, mainly focused on the external part of the residence (main facade, balconies and garden) and some of the indoor common areas, such as the entrance hall and the stairwell of all the three floors of the structure. 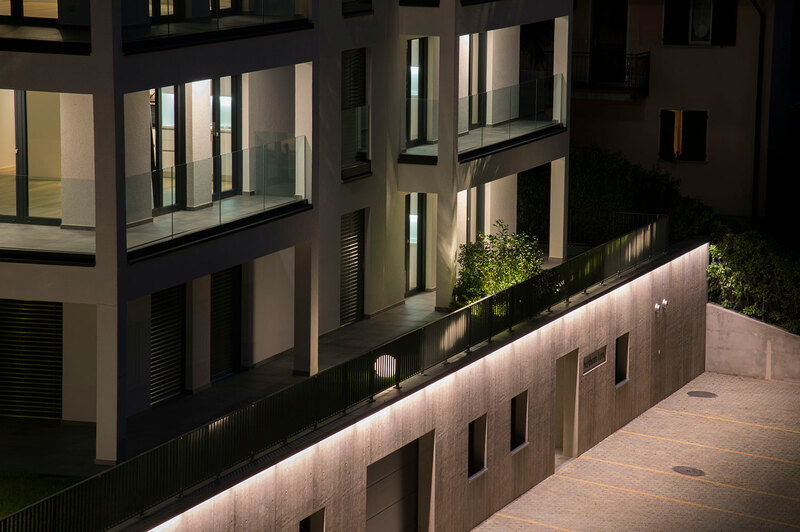 The lighting system was designed in order to make the building recognizable also at night, emphasizing its structural elements. 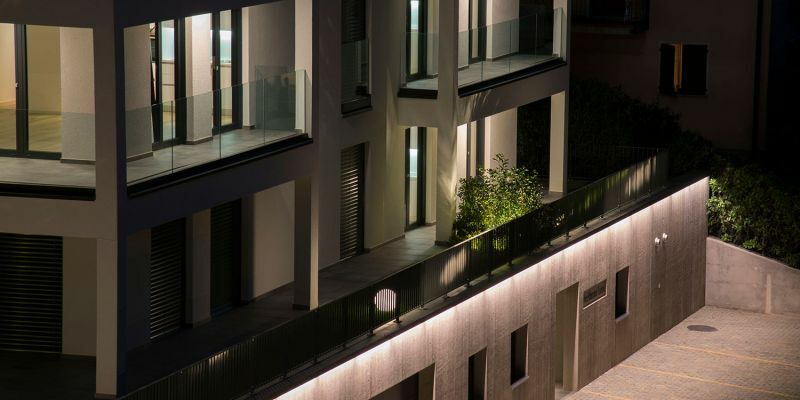 Furthermore, the cutting-erge LED lighting sources, which perfectly blend in with the architecture of the building, guarantee a beautiful and non-invasive light which guides the audience through the structure. 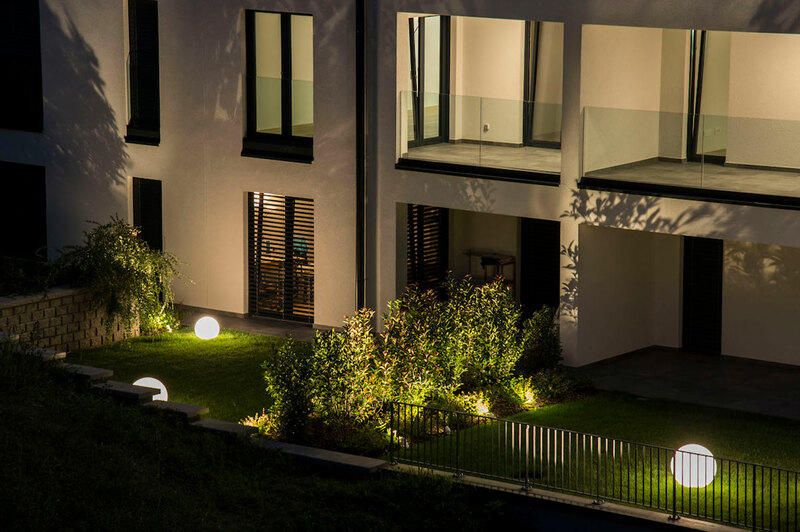 In this way, it is possible to enjoy the structure thanks to these luminaires, perfect for this kind of residential environment, which requires a pleasant and relaxing atmosphere.